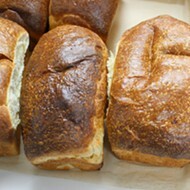 Exterior of Comet Croissanterie and Creamy. 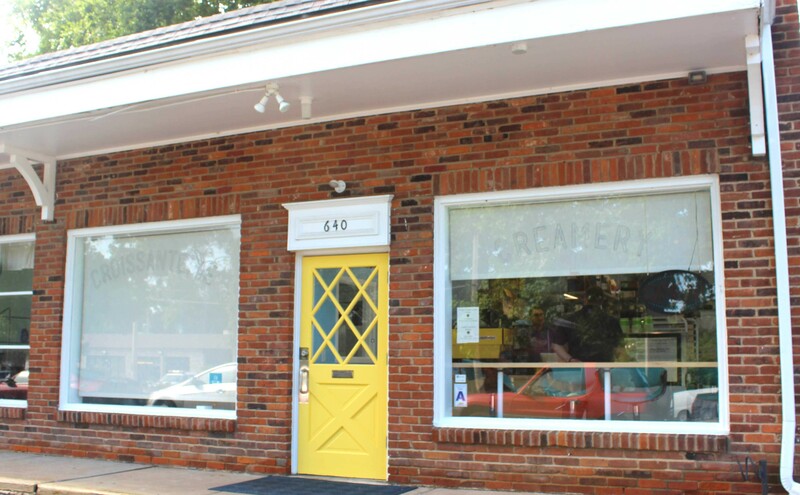 Nestled in a small retail center on a sleepy block in Kirkwood is Comet Croissanterie and Creamery (640 West Woodbine Avenue), a new venture from Mark Attwood and Stephanie Fischer. 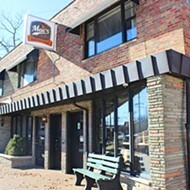 Since opening the original Comet Coffee, located at 5708 Oakland Avenue, just south of Forest Park, Attwood (the owner) and Fischer (his business partner and pastry chef) realized the limitations of its small kitchen. They wanted to find a bigger space to work in. 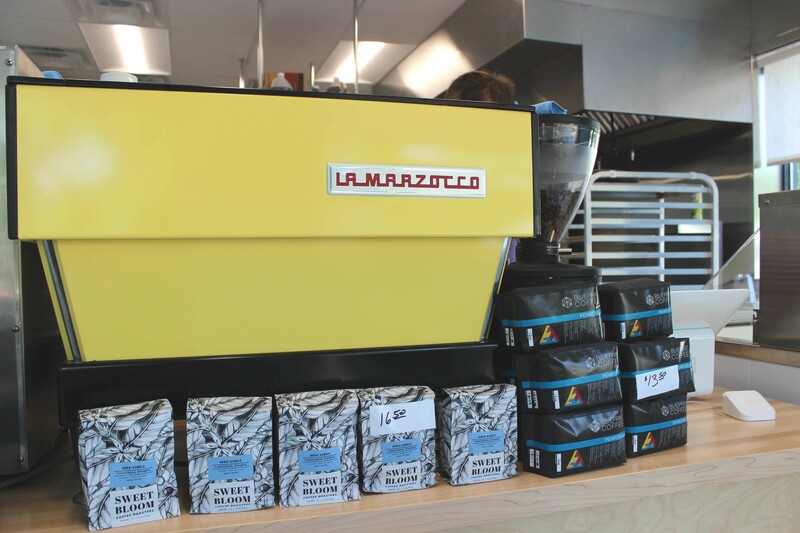 After winning a LaMarzocco espresso machine at an auction last year, they found a home for it in Kirkwood, where Mark lives. 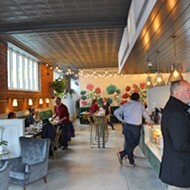 While the kitchen at the Croissanterie and Creamy is larger than the one at Comet, the space is tiny — just four stools and a small bar — as are the hours and menu. On Sunday, Monday, Wednesday, Thursday and Friday, they serve espresso and pastries from 7 to 10:30 a.m. (or 'til they've sold out of croissants, as they did at 9:45 a.m. on the day we visited), as well as ice cream from 5:30-9:30 p.m. Friday through Monday. 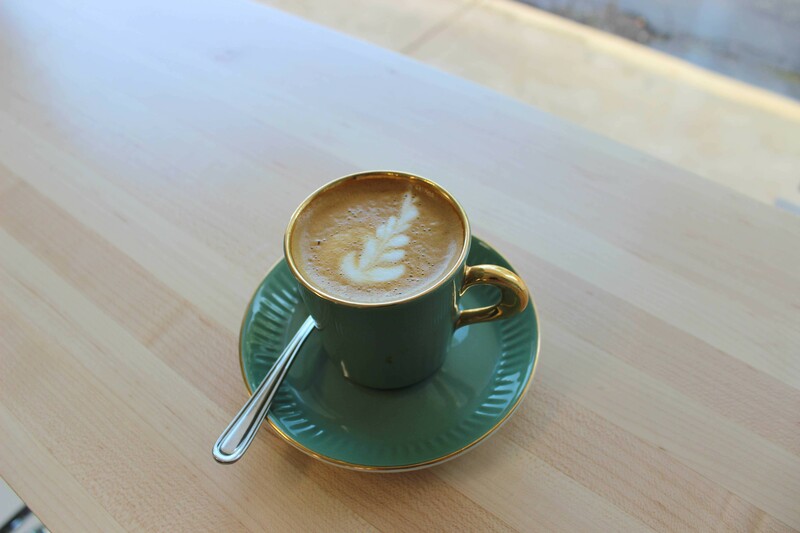 The Croissanterie's espresso drink offerings include lattes, macchiatos, the flat white, an Americano or, if you really need a caffeine kick, a double espresso. They're starting out with a pastry menu of croissants, almond bear claws and pain au chocolat, but plan to add a few more options in the future. 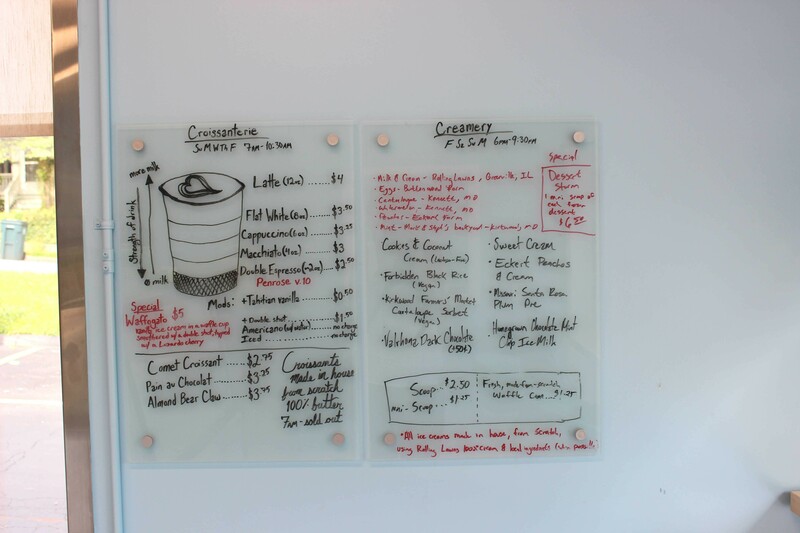 The Creamery’s ice cream is made from scratch with local cream and without extra gums or binders. 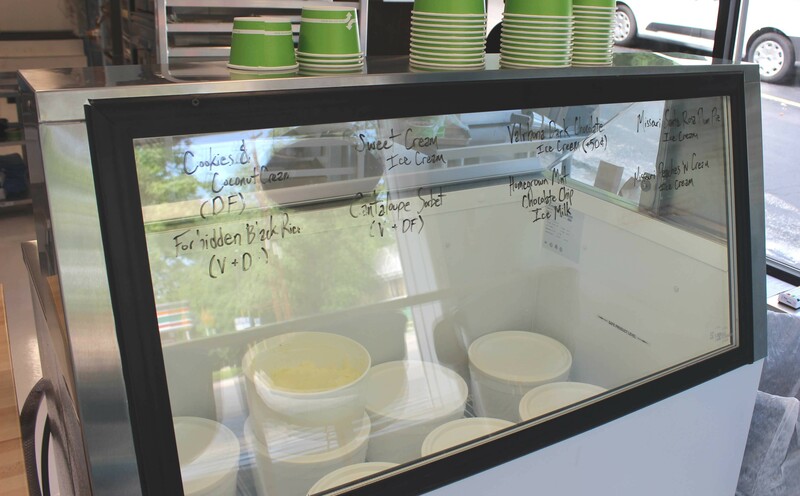 They also offer vegan, dairy-free options like forbidden black rice ice cream, and sorbet made with cantaloupe from the Kirkwood farmers market. Their ice cream special is the “waffogato,” a play on affogato: a made-from-scratch waffle cone bowl filled with sweet cream ice cream and topped with espresso. See more photos of their new venture below. Ice cream flavors often feature locally sourced ingredients, like peaches from Eckert's Farms. 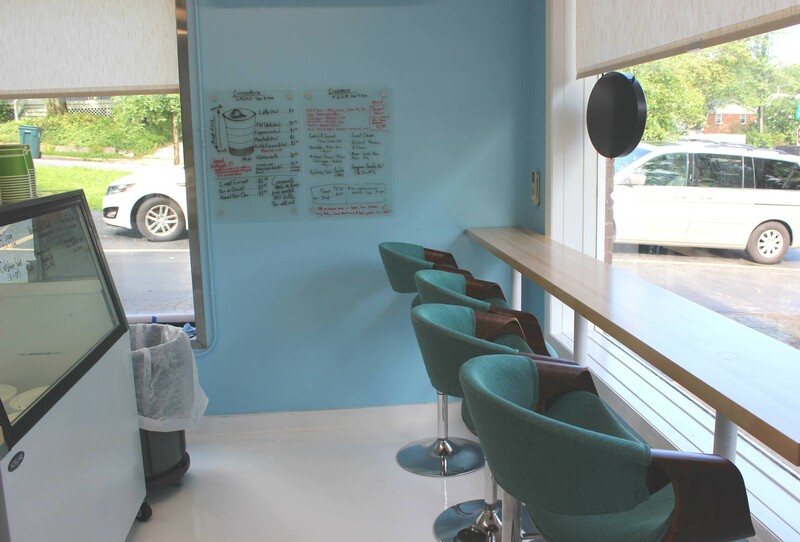 The seating area in Comet Croissanterie and Creamery.